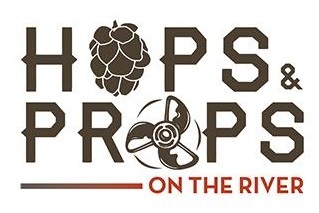 The Annual Hops & Props on the River is an event not to be missed. It focuses on the city's rich boating history, plus the popularity of Michigan craft beer, cider and wine. Over 100 varieties of beer will be featured from 30 breweries. Wooden boat parade and live entertainment round out this annual festival. Music in 2018 was provided by Hannah Rose & the Gravetones and 100 Proof. Craft Beer Festival, 2pm, over 30 participating breweries. Each entry ticket ($25 in advance, $30 at the door) includes a commemorative tasting glass and includes 5 tasting tickets. Additional tasting tickets are available for purchase. Tickets are available at the Manistee Chamber of Commerce, Visitors Center, and North Channel Brewing Company. 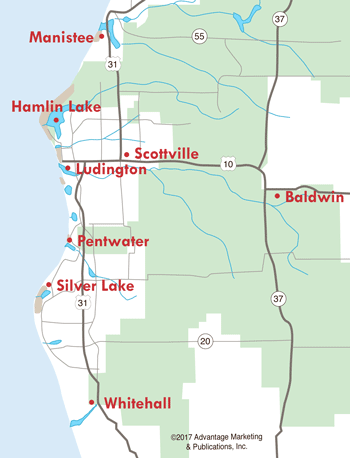 In Ludington, purchase tickets at Ludington Bay Brewing Co. Tap Takeover-After the festival, head to a local restaurant for the tap takeover. Participating businesses include Bluefish Kitchen & Bar, TJ's Pub, River Street Station, Famous Flynns Craft Pizza and Beer House, and the Fillmore of Manistee. For more information, please see www.manisteehopsandprops.com. Summer may be almost over, but the fun continues in Manistee at the Hops & Props on the River. Bring the family and enjoy this Victorian Port City.